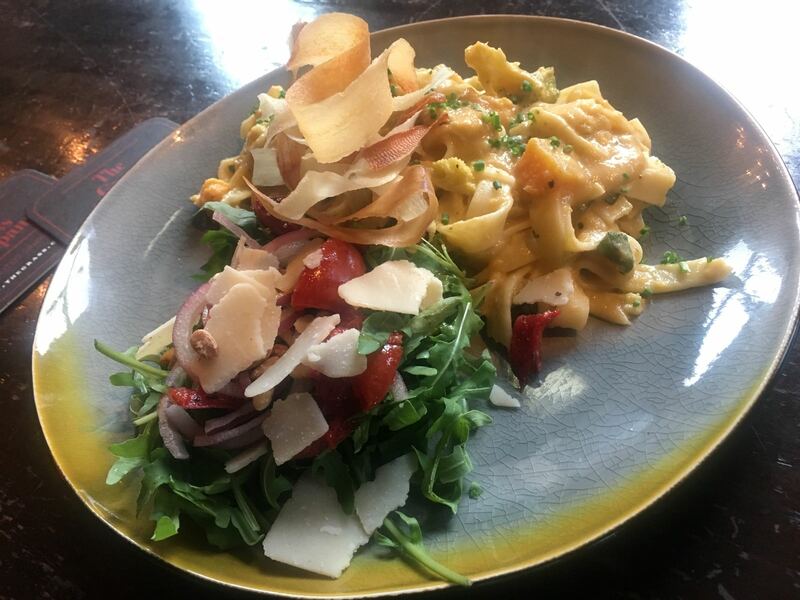 New week, new weekly dishes at The Grass Company Spoorlaan with puffed garlic soup, wild swine burger and a roasted pumpkin pasta on the menu. Click this link to view the dishes. In this section we present an overview of the different weekly dishes The Grass Company Spoorlaan has for week 42, 2017. 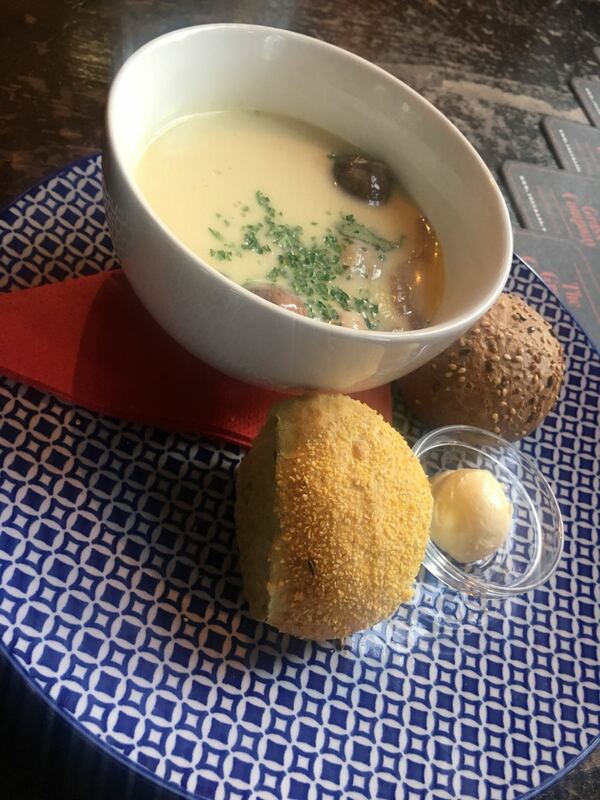 Garlic soup with crispy chicken and mushrooms. 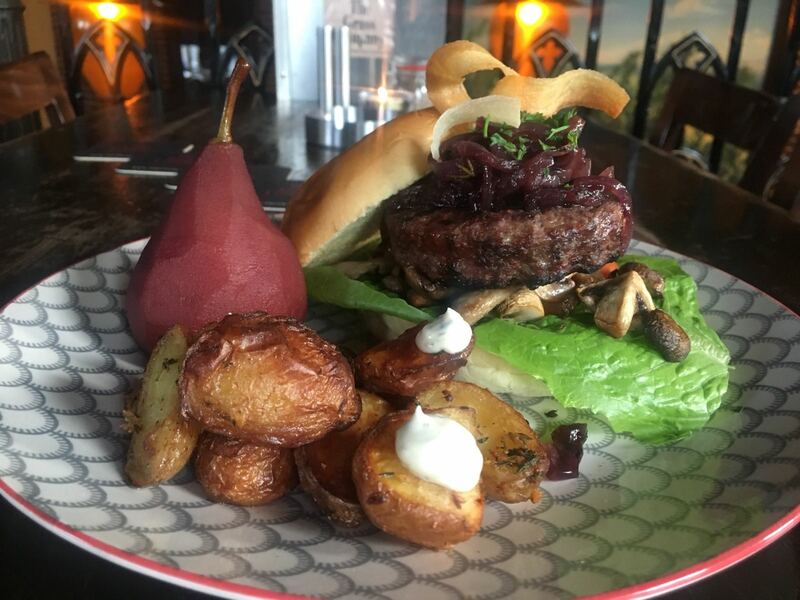 Wildlife wine citizen on a brioche roll with red onion compote, mushrooms, truffle mayonnaise, stew and rosemary potatoes. Roasted pumpkin paste with tagliatelle, broccoli, sage, cashew and Parmesan cheese. These weekly dishes are available from The Grass Company Spoorlaan until Wednesday 18 October 2017. Reservations are not mandatory but are recommended if you want to guarantee your place.